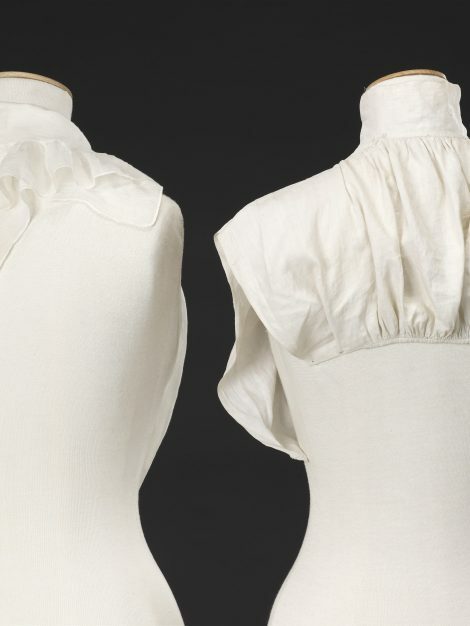 Worn to cover the neck, shoulders and chest beneath an outer garment, the habit shirt developed from the shirts formerly worn by women under the jackets of their riding habits. These shirts were based upon those of men, and the abbreviated versions seen here retain many elements of the simply shaped masculine garment (see Related Items). 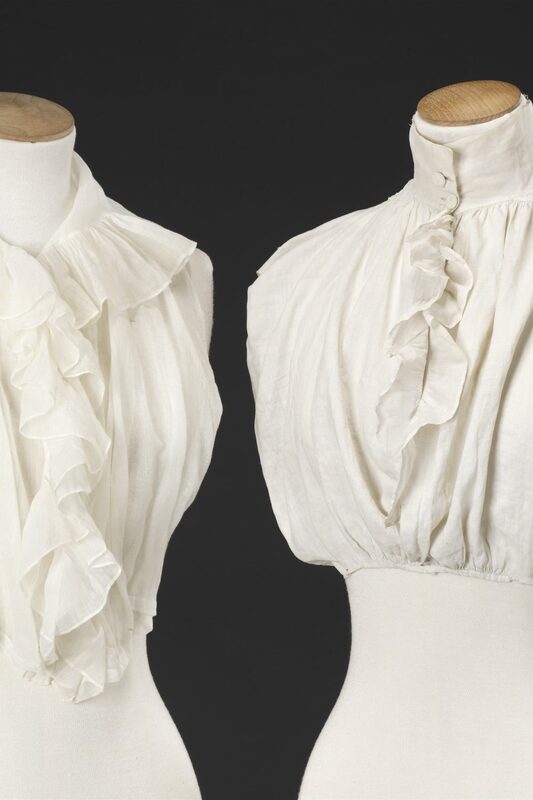 The example on the right of the image, dating from the late 18th Century or very early 19th Century, is composed of rectangles of linen that are gathered into the neckline and along the bottom edges. 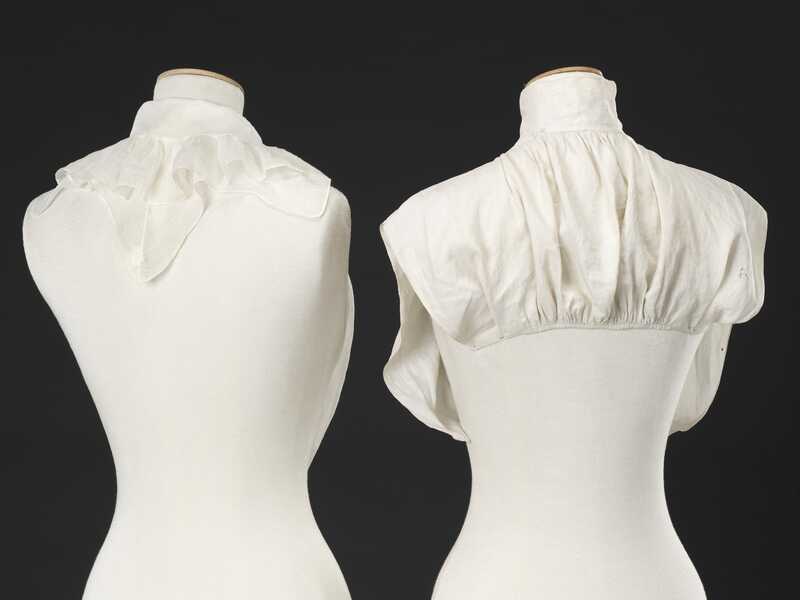 The collar (which is fastened with two fabric covered buttons), the centre front frills and the interior shoulder reinforcement are all made of straight bands of linen; a small square folded into a triangle has been inserted each side of the collar to give some ease. 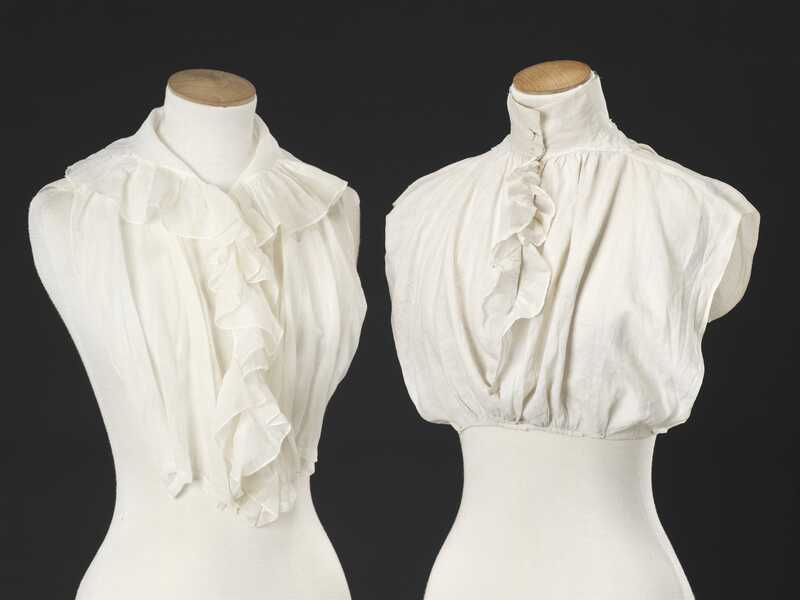 The slightly later example on the left of the image is made from fine cotton muslin that had by this time become extremely popular for women’s dresses and accessories. Its rectangular fronts are gathered into the bias cut back which is pointed at its base, and the curved collar and front opening are bordered with a finely hemmed flounce. As can be seen, the muslin is much less springy than the linen, giving a softer, more feminine quality to the garment.